It’s a topic many within the political sphere talk about, but far fewer want to see anything done about it. The issue of electoral reform has been on the Liberal agenda for decades and more recently has gathered support from UKIP, the SNP, the Green Party, Plaid Cymru and even from some within the Labour Party! But even when the public were asked in a 2011 referendum on introducing the Alternative Vote system, there appeared no appetite for change. The 2015 General Election yielded the most disproportionate results in modern history and reignited the demand for the introduction of Proportional Representation, making the number of seats a party wins match the number of votes they receive. There have been so many political, sociological and in some case, moral arguments put forward for the introduction of PR, but why should Christians fight and campaign for PR? What’s the theological case to be made for electoral reform? During the process of researching for my Master’s dissertation, I interviewed a number of people from within the Liberal Democrat Christian Forum. I asked them questions about their faith and their politics, in an attempt to understand how they interact with each other. When I asked them about the key political issues that they cared about most, it became blindingly obvious that there was one issue about which all Liberal Democrats were concerned: electoral reform. Whether introducing proportional representation, reforming the House of Lords or giving 16 and 17 year-olds the vote, there was a clear desire to see British democracy reformed and modernised, to further reflect the diverse and equal society so many of us claim to be part of. One of the easiest arguments to articulate in favour of electoral reform from a Christian perspective, is the idea of fairness and equality. 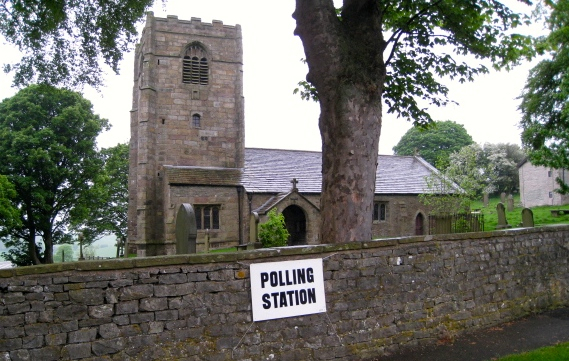 It’s often accepted by Christians that Jesus taught us to love one another and treat each other with dignity and respect, regardless of where someone is from, but what our current electoral system demonstrates is a clear bias to those who support one of the two largest parties; either the Conservatives or the Labour Party. In a system where a party can receive fewer votes than their rival yet still win control, people’s voice are silenced because they support one of the smaller parties in the UK. Parliament is not representative of how people vote; where is the UKIP representation? Where is the Lib Dem representation? Where is the Green representation? First-Past-the-Post is unfair and treats too many people with ignorance as it makes their vote worthless. Based on this, it can be taken to meant that the governing force in any situation must enjoy the support of a majority of people. It also infers that each individual vote cast carries the same weight. As we know from the 2015 election, the Conservatives only received 36.9% of the national vote which, although it was the largest share of the vote, cannot be considered a majority; 54.1% of the country voted against Conservative rule. What Song’s argument demonstrates is the need for a dramatic shift in the way governments are elected; as no party can ever claim to have won more than 50% of a national vote, it must be conceded that cooperation between parties is necessary. Leading on from this point, if we take the Trinity as being a model for how our politics should work, then it can be argued that cooperation between the main political parties is essential, in order for cohesive and representative government to exist. It is accurate to say that without out of the persons of the Trinity, God would not exist in the traditional Christian understanding. Instead, the Father, the Son and the Holy Spirit must work in communion with each other. If we can apply to this to our political system, it can be argued, as Nick Clegg does, that coalition governments are the key to the future success of our democracy. We should no longer sign up to party tribalism and isolation and instead, seek to cooperate with our political partners cross-party, in the best interests of the country. We saw how this was successful between 2010 and 2015 and has proven to be successful all across Europe. Perhaps it’s time for a new style of politics in the UK. Christian Liberal Democrats will, by virtue of their party membership, sign up to the commitment to electoral reform. What is needed however, is for Christians across the political spectrum to understand how their theological beliefs point to the implementation of a fairer and more representative voting system. We need to ensure the equality of votes, no matter what party they’re for; we need to ensure cooperation between political parties, to work together for the interests of the country; we need to see the governing forces mandated by a true majority where possible.